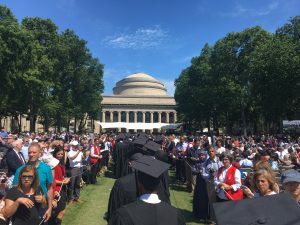 Last Friday, students from all MIT gathered at the Killian Court to graduate, symbolizing the end of a chapter and successful completion of various difficult requirements. During the ceremony, Tim Cook’s speech felt both inspirational and nostalgic pointing out how selective and highly capable the group of students is. People who are very smart, driven by challenges, and aided by a sense of community. Looking at who graduated, you notice how diverse the group is, both in terms of culture and background. It creates a rich environment which is perfect for the development of sciences while always concerned about what’s best for society. In hindsight, that’s exactly what I experienced as an MFin and an MIT student. It’s quite a humbling experience to share this program with so many remarkable yet humble people. Although the curriculum makes sure we all learn a lot about finance, the life lessons and life-long friendships are even more precious. 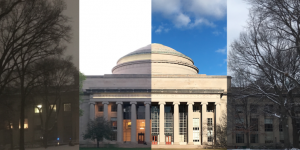 I leave MIT for now feeling more curious and eager to learn than ever, having learned how to learn and ready for the next challenges. The school has provided important mentors as well as a sense of community and home, where I know and feel I will always be welcome. Now, as an alum, I make it my mission to generate, disseminate and preserve knowledge.Thank you for everything! Luiz Felipe is a candidate in the 12-month MFin program. With a bachelors degree in Economics, he used to do research in Brazil's Applied Economics Research Institute. Guided by his passion for finance, he entered MIT's program aiming to get prepared to work in the financial markets after he graduates. I start at MIT Sloan in three weeks. Here’s why I can’t wait.